Google+ launched two new features it said will help writers and other publishers get more attention on Google News and search. 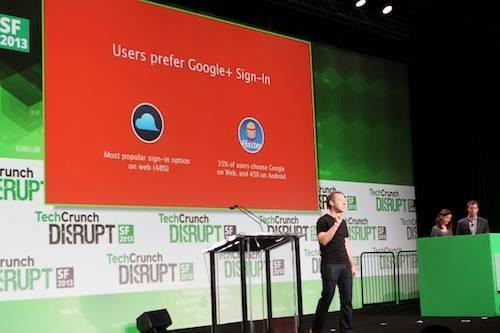 WordPress and TypePad powered blogs using Google+ Sign-In will now link all posts to the author’s Google+ account. The author’s name and information will appear in Google News and search results, thus increasing distribution and discovery, as well as making it easier for readers to engage with the author. Following the lead of Twitter and Facebook, Google+ also now allows publishers to embed public G+ updates in blog posts and on other websites. Users can follow the original update’s author and comment on or +1 the post as they would on the Google+ stream. Google claims this feature will tie conversations together, as comments will also appear wherever the post is embedded. The features are only available to WordPress and TypePad users, but Google is experimenting with other platforms including About.com, WikiHow, SkillPages and Examiner.com. It announced the updates at the TechCrunch Disrupt conference today.